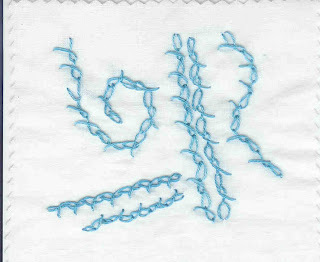 This is my Barred Chain stitch sample for TAST. I did it last night watching James Bond in Casino Royale. Although I liked the new Bond the films still aren't my thing. All the action scenes they spent millions filming I stitch through because nothing interesting is happening!